Everyone has had their vehicle inspected at one point or another; but regular scheduled maintenance is just as important as gasoline for your car. One inspection is just not enough. Cars are valuable assets that need consistent care and attention. Oil changes, brake replacements, and fuel are just a few things that are mandatory in order to have a fully functioning vehicle. Along with all this regular maintenance, tune ups are a common service that is similar to getting an inspection. Continue reading to learn what a tune-up is and if your car needs one or not. A tune-up is like a makeover and grooming session for your car. The basic goal of a tune up is to inspect the inner parts of the car, diagnose any issues, and find and fix areas that need repair. There are many steps in the tuning process, and depending on what make or model, can differ slightly. In general, a tune up includes things like replacing spark plugs, adjusting the timing and idle settings, engine inspection, filter replacements, carbon deposit removal, fuel injector services, and more. 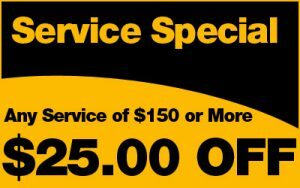 Tune ups are very important and help increase the life of your vehicle. When Does My Car Need a Tune Up? Every vehicle is different when it comes to scheduled auto maintenance. Expert mechanics suggest having your vehicle tuned every 50k to 80k miles. If you are unsure on when to have your car serviced, refer to the owners’ manual. It will have instructions and charts on what services your car will need, and when. If you are interested in more information about auto tune ups and routine maintenance, call North East Auto in Indianapolis, IN today. We are licensed professionals with over 20 years of experience. Visit our website at http://www.autorepairindy.com/factory-schduled-maintenance-indianapolis.php, or call us at 317-475-1846 anytime. This entry was posted in Factory Scheduled Maintenance and tagged factory scheduled maintenace, IN, Indianapolis, tune ups. Bookmark the permalink.